Long the head shrine of the ancient lands of Izu peninsula, this shrine was held to be the greatest divinity of the Tokaido Road (Edo-Kyoto highway). 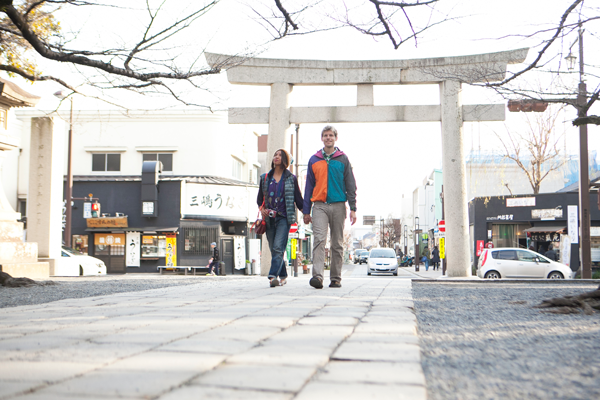 Taking the local name of Mishima, it is famous as the place where Minamoto-no-Yoritomo, who founded the first samurai government in Japan, prayed when raising an army and in winning early victories in the many battles he fought. 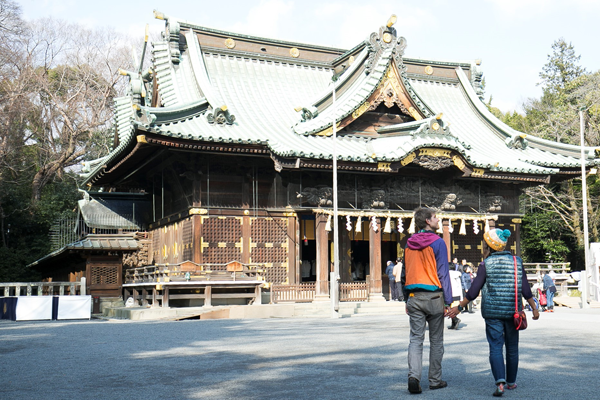 Being the starting point of the ancient Shimoda Road and also on the Tokaido Road, Mishima Taisha Shrine prospered as the gateway to the Izu region, with its name spread across the country by travelers. The shrine is a hive of activity during the summer festival and New Year prayer offering period. 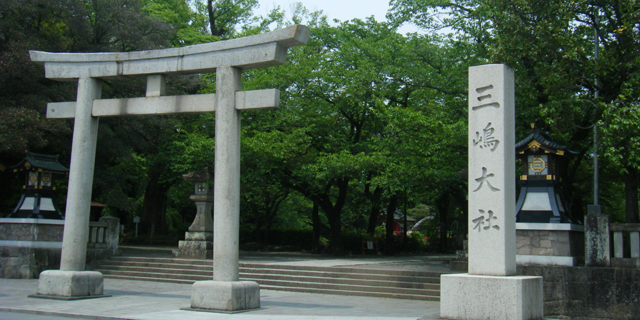 Pass through the torii gateway and proceed along the shrine path. The Gohonden, or main hall, has been designated as an important cultural asset. 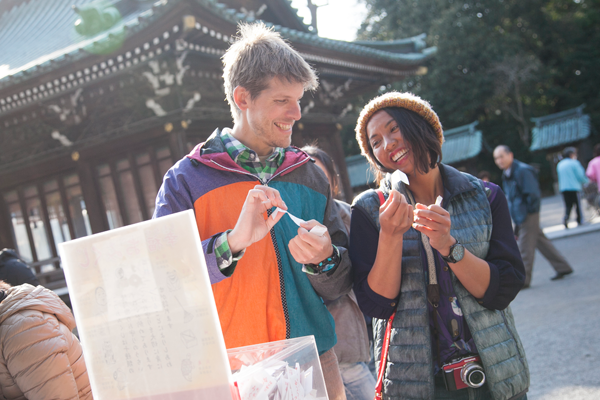 One of the enjoyments of the shrine is to buy an omikuji, or a fortune slip, to read the prediction for your future. 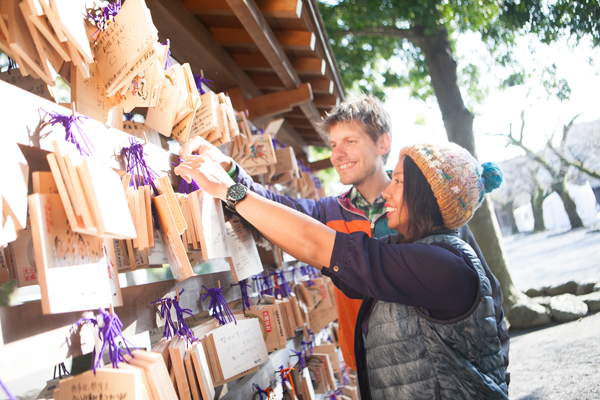 Visitors often write down their wishes or thanks on a votive tablet, which they then dedicate to the shrine. 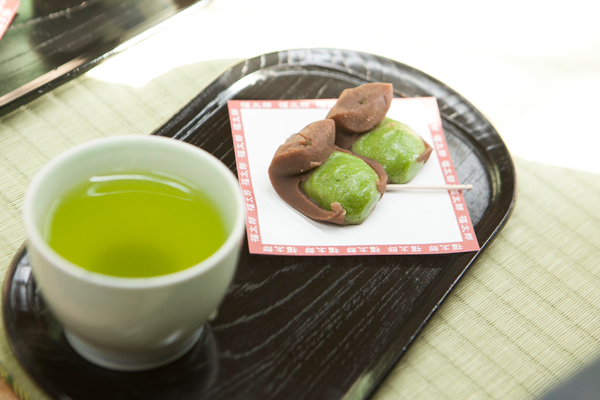 Take a break in the Fukutaro Tearoom, where a sweet with tea is just \200. 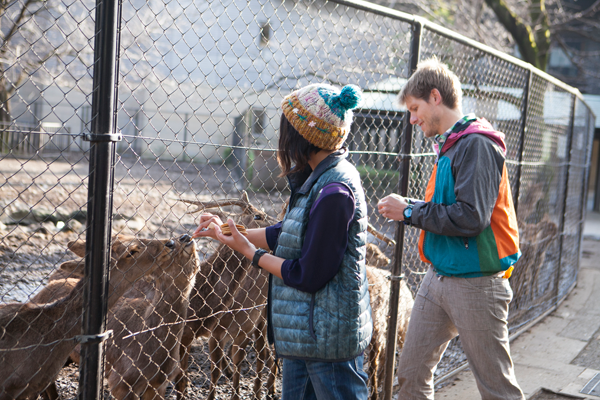 Feed the sacred deer that wander in the shrine grounds (fodder can be purchased at the shrine store). 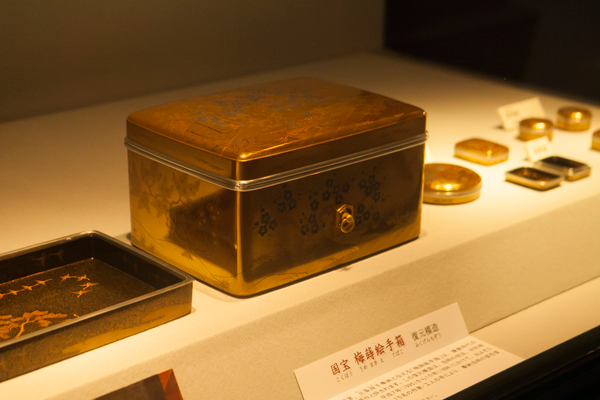 See the fully replicated plum-bloom-decorated lacquer box (Umemakietebako), a national treasure, in the shrine’s treasure hall. Treasure Hall: During exhibit changeovers, *Please contact the shrine for details. Treasure Hall: Adult: \500, High school & university student: \400, Elementary & junior high student: \300, *Charge may vary depending on type of exhibition. *The grounds of Mishima Taisha Shrine are open to the public free of charge, all year round.